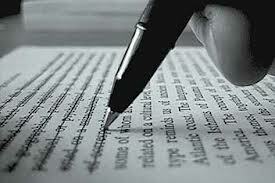 By editing several drafts on your own, you can save money and heartache with an editor later. The art of Drafting is tedious for some writers and exciting for others. The first draft of your manuscript is just that – a first: first thoughts, first ideas, first attempt, first spew (metaphorically that is). A good writer will anticipate at least another 2 drafts before asking anyone else to read their work. Whether you’re a plotter or a winger, you need to re-read what you’ve written to make sure there are no gaps in understanding, or essential information, that didn’t quite make it to the page. You don’t want a reader asking why a character is focused on in chapter one and then is never seen again. If they were important enough to go on at length about, especially in your first chapter, then they must be important to the overall plot – and you’ve got some fixing up to do. This is the 2nd Draft revision. You look at the big things and make sure they’re working. Not enough of something here, too much of something there, and voila – you’ve made it better. But it’s not ready to be shared yet. The 3rd Draft is for fine-tuning. Most people have forgotten their high school grammar and sentence structure skills and need to rely on technology to help with this draft. That’s okay, as long as you realize you don’t write in perfect prose and everyone goes through this with their work. At this phase, tightening up your writing on your own gives you a better idea of your tenancies as a composer, making it possible to learn about your patterns and thus be more apt to break them. The spell and grammar check that comes with your word processing program is okay. Some are better than others. However, if grammar classes put you to sleep when you were younger, I would advise a little extra technological help. A number of ‘editing’ programs are available that help identify passive writing, tense errors, spelling, grammar and more. If you’re serious about writing more than one manuscript, you might want to invest in one – some are even free to download. Now, after Draft 3, you have done all you can to make this the best manuscript possible. It’s time for feedback. WARNING: You have lived and breathed this manuscript for the past number of months – it is your baby. Put it away and let it rest for at least one month before having it critiqued. This will save you heartache in the long run. Some writers choose to complete a 4th Draft on their own at this point. The benefit of reading over your work after not seeing it for an extended time, is that you’ll undoubtedly catch more things that need to be fixed. Some writers forgo this draft and jump right to feedback and critiquing – do whatever works best for you. You are not limited in your options and you do not have to spend money – save it for when it really matters. You can join a writing critique group (in person, online, or both) and patiently wait for your turn to read aloud, or submit a chapter for review; you can join an online community where you are able to post your work in progress and get feedback from readers; you can join an online beta reading group; or a reciprocal review group and hold your manuscript up to the world for inspection. Notice, I have not mentioned family or friends? They are the enemy – it’s true! No matter how honest they say they’ll be, they love you and won’t want to hurt your feelings. Now, a colleague, friend of a friend, past teacher or professor, or someone you met networking should work alright. I don’t endorse this 100% since any one of these people might not necessarily be the right person for the job for any number of reasons – on the other hand, I’ve done very well, at times, asking one or two of these people to read a few chapters (not the whole manuscript) and give me their initial thoughts. They will ask to read the rest if they are truly interested, and that says a lot about them and your work. Once you get your feedback ( try to use a variety of different methods or people here), decide which of their comments make sense and which ones don’t. I often find it’s the questions that are out in left field that make me realize something was unclear. Next – yes, there is a next draft. Get a professional to critique your entire manuscript. You may have to pay for this one, generally between $40 – $100 depending on the size of your book and the discount being offered at the time. When I say ‘professional’ I don’t necessarily mean an editor, although many editors are fantastic in this capacity. What I mean is that you need to find someone who is ‘avid’ with your genre – it could be another writer you met while networking, it could be a writing service company (be careful with them), or it could be an editor. The advice you get at this stage will help beyond words 😉 I couldn’t believe the notes and suggestions that came about with my own novel – and I’m an editor! We get so close to our work that what seems obvious to us really isn’t to other readers. After completing yet another draft based on the professional critique, you’re ready for the big time – professional editing. Who you decide to go with and what you decide to have done (there are several different kinds of editing available) all depends on your budget and your skill as a writer. If you are not writing in your native language, I highly suggest saving up and finding an editor who will help you with everything: content, line, copy editing, and proofreading. If you are new to writing and this manuscript is your first major endeavor, I suggest the same – there may be skills you just have not yet acquired yet. Having a full edit done will polish your work as you never before thought possible. Then, there’s people like me: teachers, editors, journalists, freelance writers, librarians, etc. who just need a fresh set of eyes to do a final copy edit and/or proofread. We live and breathe the language and listened attentively during those boring grammar classes. Spending money on editing we can take care of ourselves just doesn’t make sense. You know where you fall on this scale. If you are a professional writer but are trying a new genre I would suggest a content edit as well. As we learn, we grow and as we grow, we learn what we are capable of. No man is an island and no manuscript should be published without the help of an editor.